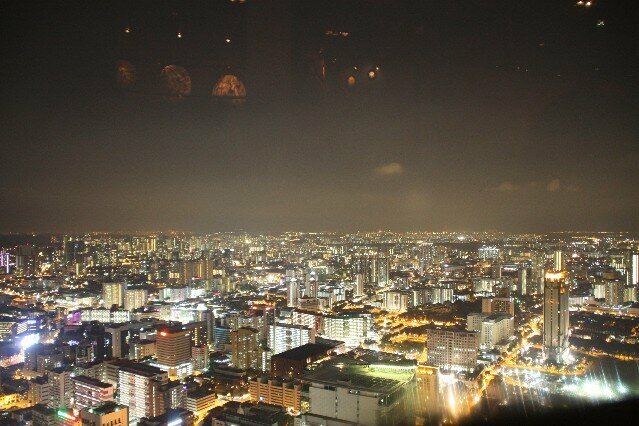 New Asia Bar is on the 71st floor of the The Stamford Swissotel Hotel with fantastic views over Singapore. Open 3pm - 1am Sun - Tues, 3pm - 2am Wed - Thurs and 3pm - 3am Fri and Sat. Every Wednesday night they have an International DJ play some cool tunes. They have a $25 cover charge to get in after 9pm on a Friday and Saturday night and after 8pm when the DJs are playing. Helipad Bar Club for a really great experience head across the river from the main part of Clarke Quay and sit on the Helipad which is now the Helipad Bar and Club. With great views back over the river to Clarke Quay. 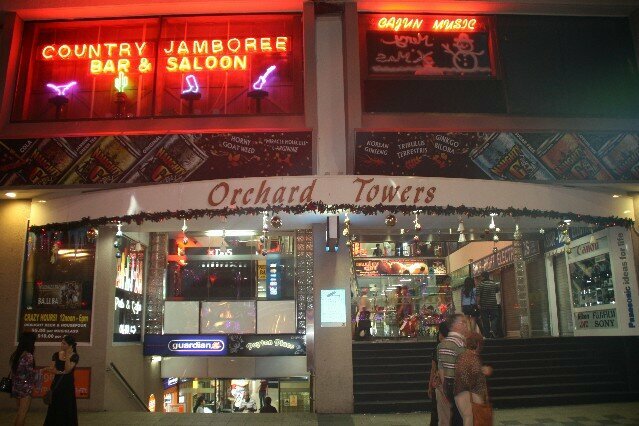 Orchard Towers on Orchard Road has over 15 bars and nightclubs open until 3am during the week and 4am weekends. Many of the bars have a live band playing every night. 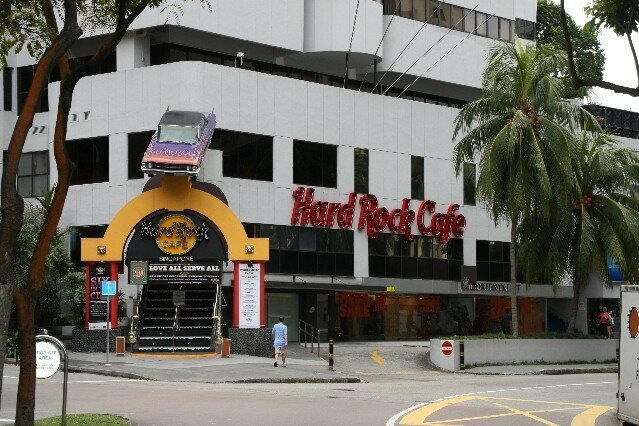 Hard Rock Cafe Singapore Bar and Restaurant located just off Orchard Road. 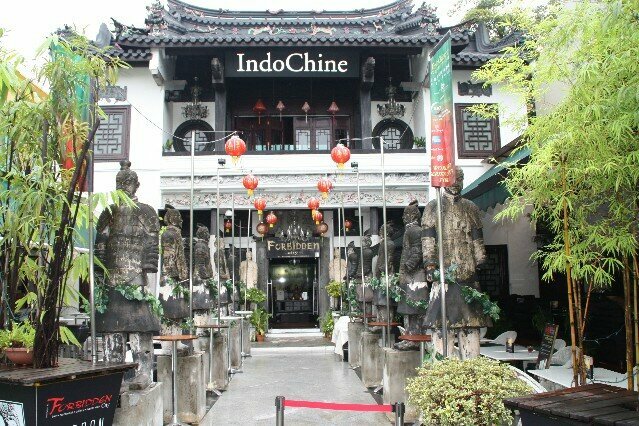 Indochine is one of the coolest bars and nightclubs in Clarke Quay. Sit out the front in one of the large lounge chairs and watch the crowd wander by or head inside to the Forbidden City nightclub for some great tunes and a bit of dancing. Indochine also serve up some tasty snacks and meals. 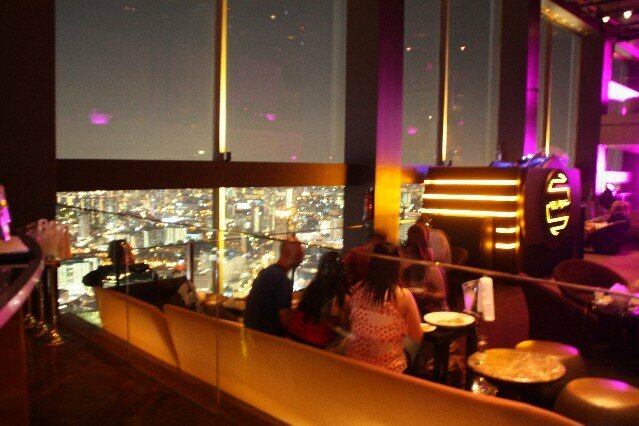 1-Altitude Bar is an open air bar located on the 63rd Floor of the 1-Altitude Building located at One Raffles Place, with an amazing 360 degree view over Singapore.